Contains the only rich natural source of vegetable Vitamin D.
Contains 25 vitamins including Folic Acid, Vitamins A, B12 and D, often lacking in vegetarian diets. Contains sodium alginate, which actively helps remove radioactive elements and heavy metals from the body. Contains sterols, which are reported to exhibit anti-hypercholesterolemic activity, as has B-Sitosterol in humans. Seawater and human blood are almost identical in chemical constituency. No fewer than 92 different mineral elements have been found in seaweeds, including some elements which we require only in trace amounts, but whose presence is nonetheless vital to our complete well-being. 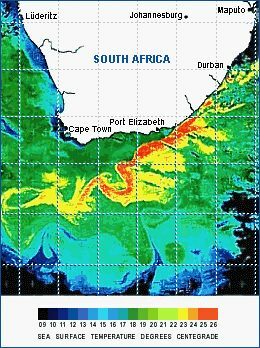 Seaweeds contain many times more minerals than land grown plants, as much as 50 times more according to Dr W Black. (Black W, Proc Nutr Soc (Eng), 32, 1953) Since that was more than half a century ago, it is to expected that a land-grown plants are even less nutritious now. Gaia Research takes the informed position that in general, most natural foods still synthesise all the essential nutrients, albeit less efficiently….other than the mineral micro-nutrients (and to a degree, the essential fatty acids) and that only kelp, which contains perfectly chelated minerals, can effectively supplement these….provided it is “micronised kelp” (reduced to the smallest physical size possible, ie ideally to mere dust), since kelp is otherwise undigestable and incapable of breakdown sufficiently to release all of its rich nutrient treasures. 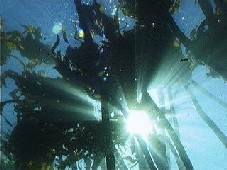 Kelp is highly nutritious since it has at its disposal all the nutrients which run-off from the land, but little competition to assimilate these. It preferentially bio-accumulates all the essential plant-nutrients, rejecting the contaminants, unless the latter totally predominate, as in the highly developed and populated areas of the world. 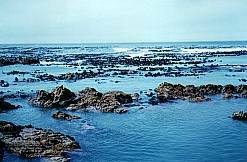 Possibly the last pure kelp-beds in the world, South African West coast kelp, Ecklonia, is fed by the clean Benguela cold water currents, which flow northwards up the West coast of southern Africa from the pristine ice continent of Antartica.